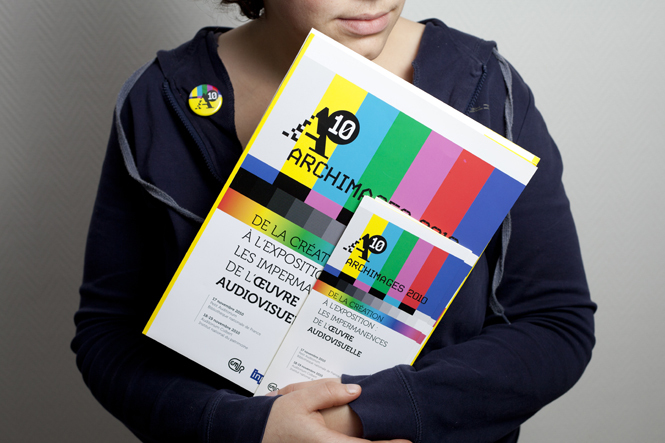 L'Institut National du Patrimoine (INP) is an organization which aims at hiring and training curators. 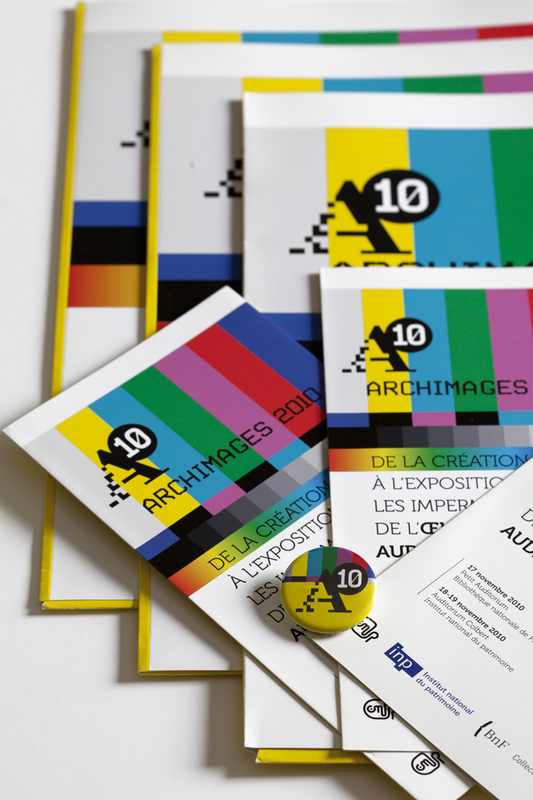 The 4 years long series of conferences "Archimages" has intended to bring to light questions around the conservation of audiovisual patrimony. The first letter abbreviation A (for Archimages) which increments every year (07-08 etc...) represents the hyphen between the former events. The conferences' visual artwork is renewed every year depending on the selected themes.